Deep wine-red butterhead lettuce with good disease resistance. 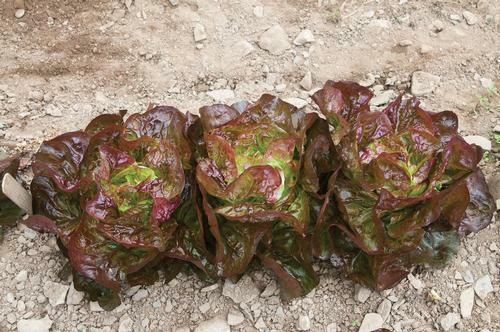 The rich color and sheen will make it stand out in your lettuce patch--and your salad bowl. Ruffled texture is sturdy enough to have a bit of crunch. Good sized heads grow reliably throughout the growing season and hold well in the field.